Seems I have some to do - catching up, that is. I think when you decide to start a blog, it's sort of like starting a family: it entails a certain responsibility to others. Specifically, in this case, to readers. If posting daily is the surest way to build readership (next to, presumably, posting well), letting too much time pass without posting probably has the opposite effect. A number of items in the news have come to my attention since Monday, when I last posted. First is the ten year anniversary of Yahoo. Jonathan J. Harris has a neat little thing on his site, Number 27, that celebrates the Yahoo anniversary by recapitulating, in pictures, the history of the past ten years on the Web, and especially of Yahoo. Here it is. My favorite gadgets weblog is probably Engadget. But Gizmodo comes up with some pithy stuff, too. In a recent "smartphone roundup", Gizmodo makes this comment: "We’ve got high hopes for Windows Mobile around here, with Palm straying far from the path, and Symbian resolute to downplay the ‘smart’ part of its smartphones." Sad to say, it's true, or seems to be. This may have its roots in the thinking of the father of Symbian, Colly Myers, as I detailed in an earlier post. 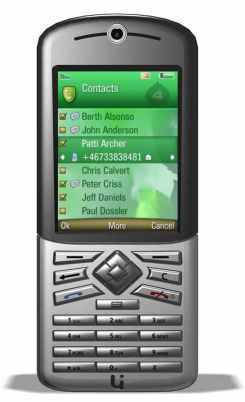 Let's hope the upcoming UIQ3 devices, which promise so much and are due out toward maybe the end of this year, can put the genius back where it belongs - in Symbian Smartphone. No Windows for me. Here in San Francisco, I think I now have the inside track on getting a Sony PSP on the day of its release, March 24. I won't say any more about it right now, but if/when I get my hands on one - assuming it's on or near that date - you can bet you'll be reading about it here in exquisite detail, and with plenty of pictures, too.